Discover the best gay-friendly travel destinations for 2019. Search countless tours and vacations that travel to Latin America (Peru and Brazil), Europe (Slovenia and Croatia), Thailand and other great places. 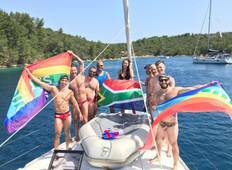 Search our gay tours departing in 2019 and find the one that's right for you.